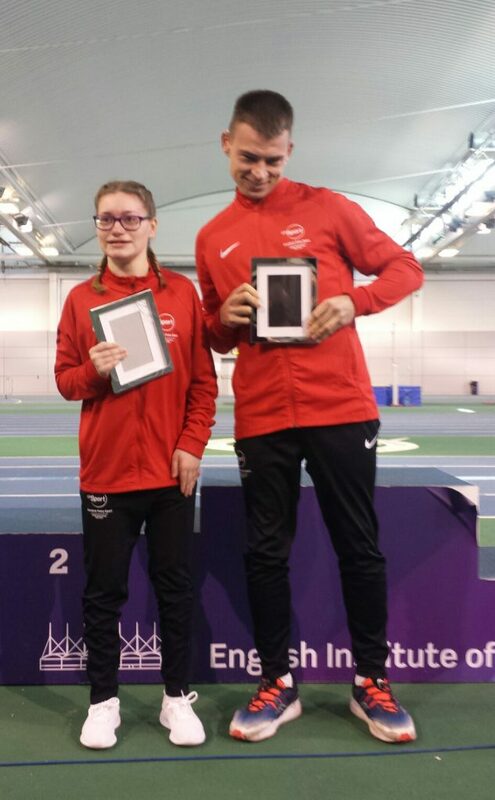 DAC para athletes Leaha Dixon and William Baxter received special awards from the South Yorkshire County Athletics Association at EIS on 17 March to recognise their international selection last year. Leaha and William competed for Team CP England at the CPISRA World Games in Barcelona in August. After their achievements at the games were read out they received their awards from the Chairman of SYCAA. Both are looking forward to competing again next month after working hard in training over the winter.